There a re a variety of ways that you can help Israel ranging from simple steps (some of which you do already such as grocery shopping), to significant commitments of time and resources. Almost anything constructive that one can do for Israel is helpful, although there are ways to increase the chances that what you do will have a positive, long-term impact. Below is a primer on what you can do and below that, how to do it effectively. For many, one of the most frustrating aspects of the war against the Jewish People, the delegitimization of Israel and advance of Islamo-fascism is the seeming inability to help. While we may not be able to stop the terrorists nor all attacks against Israel on campuses, in the media or at the U.N., we can combat the lies about Israel and Israelis, we can educate others and we can take action to lift the spirits of Israelis. We may not see the immediate results of our actions, but every action we take makes a difference and could be the “tipping point.” Here are some simple and practical suggestions as to what you can do to help. 1) STAY CURRENT ON THE TRUTH – Stay educated and clear on what is really going on. The Internet offers a variety of useful sources for getting a more accurate picture of what is really happening in the Jewish state and surrounding areas. Visit such sites and recommend them to friends – you will be amazed at how people’s eyes can be opened when they start to get the real picture about what is going on. 2) CHALLENGE BIAS IN THE MEDIA – The media has a powerful influence on public opinion and government policy. When you notice a biased report or see that facts or context are omitted, immediately contact the news outlet and object. Be respectful and stick to the facts. Share this with friends and colleagues so they too can file a complaint. There is power in the number of responses. You can also seek out and join committees that promote unbiased information about Israel such as the ZOA. 3) SPEAK OUT! 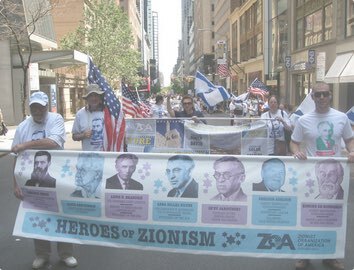 – The next time you hear something that puts down Israel, don’t wonder to yourself: “What is someone going to do about it?” No single Jewish organization can fight the propaganda war on every front. Sometimes, you must be the “someone.” Talk to people! Be an ambassador for Israel by explaining the true facts to everyone you meet. You never know how your contribution may affect someone else’s views. The worst thing that one can do is to remain quiet. So do something. 4) APPEAL TO THE PRESIDENT AND REPRESENTATIVES – Elected officials and other government leaders need to hear your views. Find out who your elected officials are (if you are not certain) in the House and Senate and urge them to take legislative action in support of Israel and against those trying to harm or undermine Israel. Ask them to publicly express their support for Israel at every opportunity. Also, contact state and local officials and ask them to pass resolutions or issue proclamations in support of Israel. Write a short, personal email with a subject line like “Please Support Israel.” Every call, letter, email and fax is counted. 5) BUY ISRAELI PRODUCTS AND SERVICES – Go out of your way to support Israel’s export trade. Greater Philadelphia ZOA has an ongoing “Buy Israel” campaign. www.shopisrael.com, www.usaisrael.org and www.israeliwishes.com allow you to buy Israeli products directly. When in the grocery store look for Israeli brands like Elite, Telma, Osem and Ahava beauty products. Ask the supermarket manager to carry specific goods from Israel. Buy Israeli wines to bring as gifts when you visit friends. Home Depot and other stores have many made-in-Israel products, especially plastics. www.israelexport.org lists the names of products sold in the USA. The following was made especially for advocacy to oppose the “Iran Deal,” however most of the advice below can be adapted for a variety of other issues and situations. 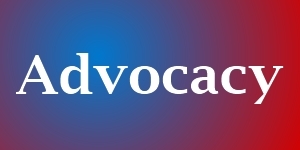 There are four key segments where advocacy is needed. celebrities, can reach and influence tens of thousands and even millions. They can amplify our individual voices. comment when this is the topic. Many shows also have a regular “open-line” day or time when any subject is welcome. Be clear, concise, passionate, respectful. Name-calling or extremely partisan rhetoric accomplishes nothing. Many Middle East developments will impact Americans. Contacting reporters, editors, news directors, publishers, station management: There is nothing wrong with a polite phone call or email to the aforementioned to discuss something already published or broadcast, or to discuss future or general coverage whether it is about biased reporting, lack of coverage, biased sources, placement of reports, etc. Sometimes the contact information is listed with the article. You may have to search for a general number for the specific media outlet and follow the prompts or contact the operator. Electronic publications and blogs: There are literally thousands of internet-only publications, podcasts and blogs. Many offer opportunities for you, the readers/listeners/viewers, to post, comment and rebut. These tend to be less formal than traditional media. Nonetheless, be respectful, accurate and concise. communicate with many of them via Facebook, Twitter, Instagram and the like. Ask them respectfully to take up this cause. Explain to them and their fans the implications of a nuclear Iran. Be accurate, respectful, concise. You might also find information on the Internet for agents and management. Contact them as well and ask their clients take up the cause. platforms. Incorporate elements from above into these interactions. Again: Be respectful, concise, non-confrontational. Your goal is to inform and educate them and inspire and motivate them to replicate the actions you are already taking: to make calls, write and communicate with many others. Don’t forget friends and family in other states and congressional districts. The goal of all of the above steps is to expand this effort exponentially. To create a tsunami of support for Israel and/or opposition to the Israel’s enemies. But there are still others who will be effected by the Iran deal and who may have influence on lawmakers and even the White House. America was not the only party involved in the P5+1 talks. Those other nations have embassies in Washington. Contact those embassies to register your concern and ask that they convey your concerns to their respective governments and to reconsider supporting the deal. America’s friends and allies such as Canada also have Washington embassies. Again: Contact them, make your case, ask them to use whatever influence their respective governments have. On a smaller scale than the celebrities, communal leaders and clergy have respect and followings. Their expressions have impact. Ask that they publicly address these issues from the rostrum or the pulpit. While lawmakers are supposed to treat every constituent equally, let’s face it: Large donors and “bundlers” and those involved in PACs seem to have greater access and their messages tend to resonate more. At fec.gov and other sites, you can research who some of these individuals and groups are. If you decide to contact them, all of the above rules apply: Be respectful, concise, no threats, accurate information, etc. Corporations and their leaderships also have influence, as do their shareholders. If you decide to contact them, all of the above rules apply: Be respectful, concise, no threats, accurate information, etc. Most of you reading this are no-doubt deeply concerned about the well-being of Israel and her people, but the consequences of a nuclear-armed terrorist nation of Iran are much broader. Iranian leaders and their followers chant “Death to America,” burn our flag and have killed and maimed thousands of American service personnel and have been involved in terrorist attacks that have murdered and wounded countless other Americans as well as those of other Western nations. In all of the above advocacy, education and activism we must stress the impact on each of us personally: Family, neighbors, friends, strangers. Make it personal: Point out how it effects every American. engaged immediately in this cause. Join ZOA and support our work. Greater Philadelphia ZOA is aggressively engaged in advocacy. The more members that we have, the greater is our voice. With your increased donations, we are able to sustain our current level and do even more. Please join us if you are not already a member, or renew your membership if it is due. Either way, you can make an extra donation today. If you are already a current member, thank you. Please consider making an extra donation at this time.